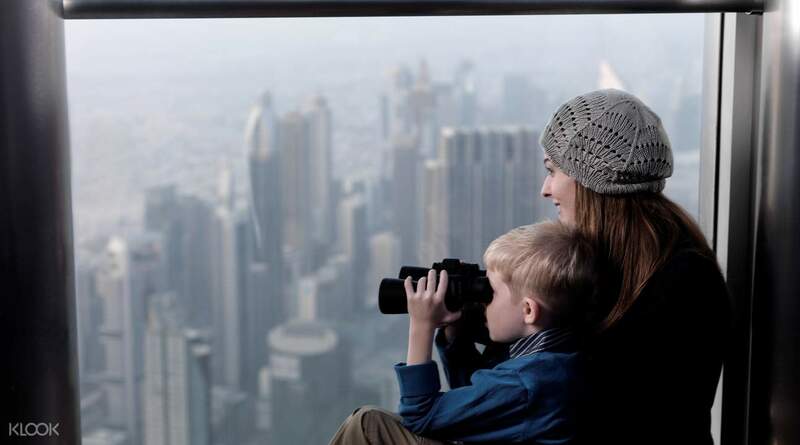 Use the telescopes to spot top Dubai attractions like Dubai Marina, Palm Jumeirah and more! I booked 2 days ago before visiting burj khalifa. it's so easy and convenience!! 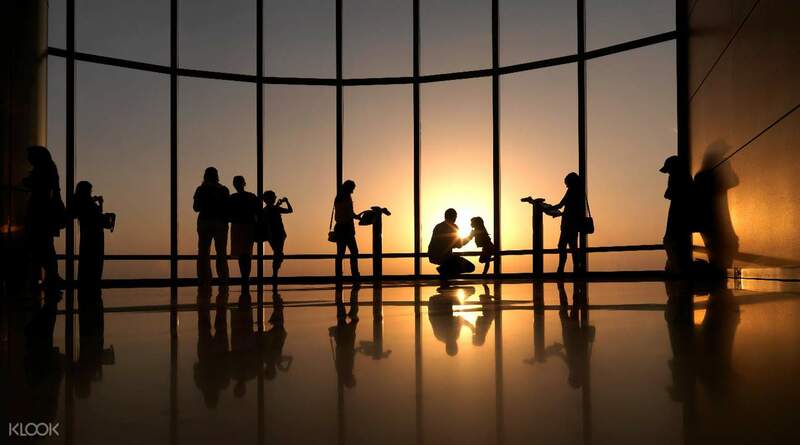 A visit to Burj Khalifa's observation deck on the 124th and 125th floors is a must-do for every visitor in Dubai. 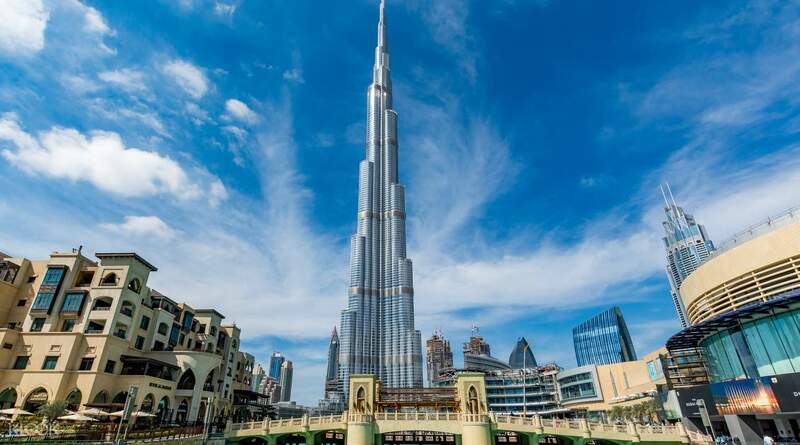 No need to wait in line - booking in advance allows you to go straight to the elevator to ascend the world's tallest tower at 10 meters per second. 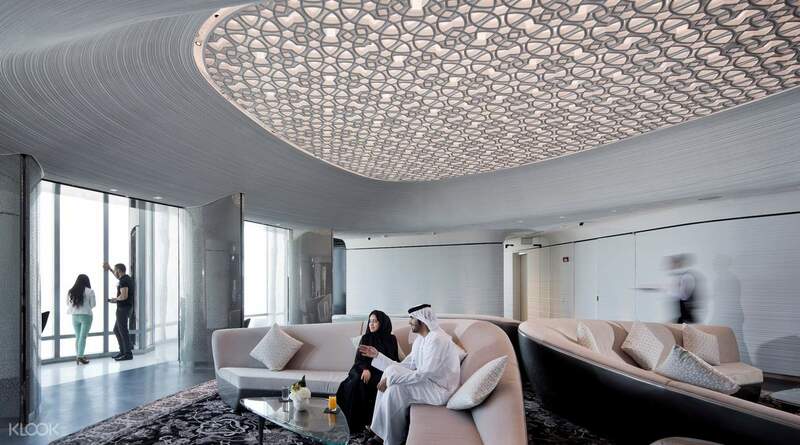 Once at the top, enjoy breathtaking views of Dubai's skyline, desert and ocean through the floor-to-ceiling glass walls. Make sure to use the telescopes provided for close-up real time views of the areas below. Venture outside into the open-air terrace and enjoy a more clear perspective of the sweeping views of Dubai. Take a moment to look through the souvenir store at the top, where you can shop for friends and family back home. Wonderful experience. Enjoyed a lot with my family specially my kids enjoyed it . Worth going to 148 floor and even at non prime time around evening . Thanks Klook for making it a wow moment for my family . Wonderful experience. Enjoyed a lot with my family specially my kids enjoyed it . Worth going to 148 floor and even at non prime time around evening . Thanks Klook for making it a wow moment for my family . The view at the top is really beautiful! You can spend as much time as you want once you're up there. We wish the photos taken by the photographers were sold at a cheaper price. Also, the lighting in the buliding was dim. We don't have high quality cameras therefore our pictures turned out bad. The view at the top is really beautiful! You can spend as much time as you want once you're up there. We wish the photos taken by the photographers were sold at a cheaper price. Also, the lighting in the buliding was dim. We don't have high quality cameras therefore our pictures turned out bad. As I said in my review for Ferrai world, my experience with Klook has been wonderful. Thr klook voucher helped me gain faster access to the activity as I didn't have to stand in long queue for ticket purchase. The place was amazing and is a wonder of the world. The history behind the Burj Khalifa is very nice and if you visit Dubai, it is a must. As I said in my review for Ferrai world, my experience with Klook has been wonderful. Thr klook voucher helped me gain faster access to the activity as I didn't have to stand in long queue for ticket purchase. The place was amazing and is a wonder of the world. The history behind the Burj Khalifa is very nice and if you visit Dubai, it is a must. Thank you Klook for another excellent experience with you. The claiming of ticket is fast. I just show the confirmation email. Though the time that I wanted wasn't available, I still enjoyed the experience at the Top on a Christmas Day. I recommended this experience to my friends there in UAE since most of them still didn't experience this activity. Thank you Klook. Thank you Klook for another excellent experience with you. The claiming of ticket is fast. I just show the confirmation email. Though the time that I wanted wasn't available, I still enjoyed the experience at the Top on a Christmas Day. I recommended this experience to my friends there in UAE since most of them still didn't experience this activity. Thank you Klook. We enjoyed the whole experience.This is an unforgettable thing for us.the tallest building in the world.we take the prime time.so we enjoyed both day and night view.we got the sunset. It’s a memorable experience.there was too much cold.but it feels better.we took more and more photos and videos. We enjoyed the whole experience.This is an unforgettable thing for us.the tallest building in the world.we take the prime time.so we enjoyed both day and night view.we got the sunset. It’s a memorable experience.there was too much cold.but it feels better.we took more and more photos and videos. Booking with Klook really made our visit to the Burj Khalifa an extremely convenient one. You just present the voucher at the front desk and they’ll instantly exchange it for the physical ticket. From there, everything was smooth to the top. Views from the 124th/125th floor were amazing! Would recommend this to anyone, whether a family, a couple or an individual! Booking with Klook really made our visit to the Burj Khalifa an extremely convenient one. You just present the voucher at the front desk and they’ll instantly exchange it for the physical ticket. From there, everything was smooth to the top. Views from the 124th/125th floor were amazing! Would recommend this to anyone, whether a family, a couple or an individual! We had absolutely no hassels in getting the tickets from counter.. Thanks to Klook:) Took 5:30 slot to enjoy best of both the views, we reached the counter by 5 pm but were delayed coz of long queue.. so in case you guys want to do the same book 5:00 slot and reach the counter at least 30-40 mins in advance. The view from the top nevertheless was breathtaking and so was fountain and laser show. Big Thumbs Up to Klook. We had absolutely no hassels in getting the tickets from counter.. Thanks to Klook:) Took 5:30 slot to enjoy best of both the views, we reached the counter by 5 pm but were delayed coz of long queue.. so in case you guys want to do the same book 5:00 slot and reach the counter at least 30-40 mins in advance. The view from the top nevertheless was breathtaking and so was fountain and laser show. Big Thumbs Up to Klook. Had an amazing time at the Top of Burj Khalia. This was a once in a life time experience for me. We got our ticket less than 5 mins and the people were very accommodating. Will recommend this to my friends. Had an amazing time at the Top of Burj Khalia. This was a once in a life time experience for me. We got our ticket less than 5 mins and the people were very accommodating. Will recommend this to my friends. The view on the 125th floor of Burj Khalifa is stunning, worth to go up to take a look there. It is easy to book and the queue for getting the tickets are not that long (the queue is inside the Mall of Dubai). The most amazing thing is that it only takes around 30 seconds for you to go up from ground floor to the 125th floor, it’s just impressive! The view on the 125th floor of Burj Khalifa is stunning, worth to go up to take a look there. It is easy to book and the queue for getting the tickets are not that long (the queue is inside the Mall of Dubai). The most amazing thing is that it only takes around 30 seconds for you to go up from ground floor to the 125th floor, it’s just impressive!